Astronomers have shown for the first time how star formation in “dead” galaxies sputtered out billions of years ago. 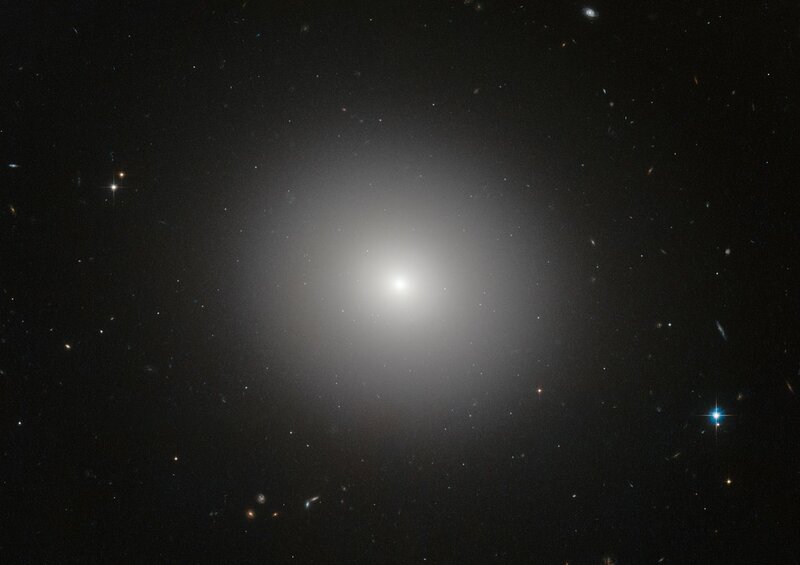 ESO’s Very Large Telescope and the NASA/ESA Hubble Space Telescope have revealed that three billion years after the Big Bang, these galaxies still made stars on their outskirts, but no longer in their interiors. The quenching of star formation seems to have started in the cores of the galaxies and then spread to the outer parts. The results will be published in the 17 April 2015 issue of the journal Science. Tacchella and colleagues observed a total of 22 galaxies, spanning a range of masses, from an era about three billion years after the Big Bang . The SINFONI instrument on ESO’s Very Large Telescope (VLT) collected light from this sample of galaxies, showing precisely where they were churning out new stars. SINFONI could make these detailed measurements of distant galaxies thanks to its adaptive optics system, which largely cancels out the blurring effects of Earth’s atmosphere. The researchers also trained the NASA/ESA Hubble Space Telescope on the same set of galaxies, taking advantage of the telescope’s location in space above our planet’s distorting atmosphere. Hubble’s WFC3 camera snapped images in the near-infrared, revealing the spatial distribution of older stars within the actively star-forming galaxies. “What is amazing is that SINFONI’s adaptive optics system can largely beat down atmospheric effects and gather information on where the new stars are being born, and do so with precisely the same accuracy as Hubble allows for the stellar mass distributions,” commented Marcella Carollo, also of ETH Zurich and co-author of the study. “The newly demonstrated inside-out nature of star formation shutdown in massive galaxies should shed light on the underlying mechanisms involved, which astronomers have long debated,” says Alvio Renzini, Padova Observatory, of the Italian National Institute of Astrophysics. A leading theory is that star-making materials are scattered by torrents of energy released by a galaxy’s central supermassive black hole as it sloppily devours matter. Another idea is that fresh gas stops flowing into a galaxy, starving it of fuel for new stars and transforming it into a red and dead spheroid. The Universe’s age is about 13.8 billion years, so the galaxies studied by Tacchella and colleagues are generally seen as they were more than 10 billion years ago. This research was presented in a paper entitled “Evidence for mature bulges and an inside-out quenching phase 3 billion years after the Big Bang” by S. Tacchella et al., to appear in the journal Science on 17 April 2015.